Charlotte financial planners offer their advice after Trump victory | JHG Financial Advisors, LLC. 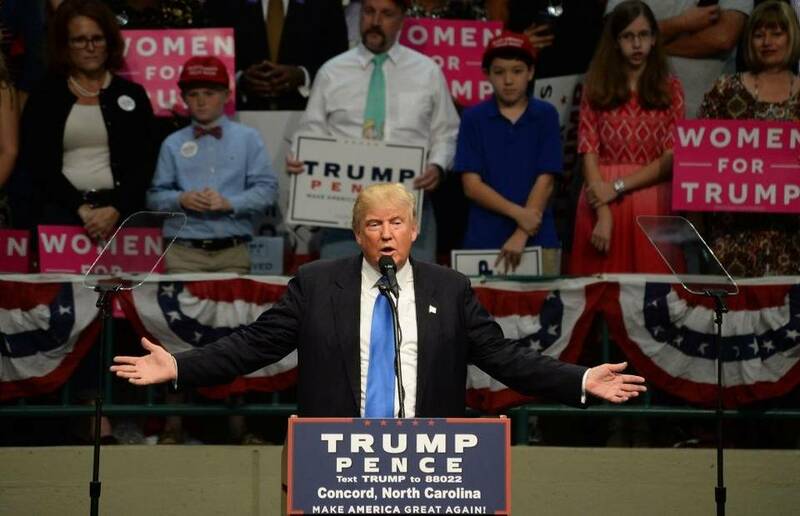 President-elect Donald Trump doesn’t assume his new job until January, but Charlotte financial planners are already starting to advise clients on how the Republican’s unexpected victory will affect their investments, the markets and the economy. As Trump’s potential to win emerged Tuesday evening, Dow futures slid as much as 800 points, sending many investors into panic mode. But by Wednesday, markets had calmed, and major indices had posted gains. On the campaign trail, Trump made numerous promises that could affect markets and the economy, including introducing a 35 percent tax cut for the middle class, slashing the corporate tax rate and renegotiating foreign trade deals. What he’ll actually do remains to be seen, and that uncertainty can be unnerving for investors. Charlotte financial planner Jud Gee of JHG Financial Advisors said clients are already asking him how a Trump victory may affect their portfolios. But because so much uncertainty remains, he advises not taking any major action quite yet. “The results don’t justify any drastic action for long-term investors, nor should investors try to out-guess the markets. There are still too many question marks right now,” Gee said. If anything, he added that short-term market volatility could present a buying opportunity for investors to buy “sound companies at a discount,” he said. Nick Foy, a portfolio manager at Charlotte’s CAVU Wealth Advisors, similarly said that uncertainty presents a good opportunity for investors, particularly young ones, to buy stocks at a discount. But Foy says he has only heard from one client following the election. Foy says that’s likely because portfolios are designed to withstand uncertainty, and the only reason to alter anything would be because of a change in the client’s life, like buying a house or sending a child to college. “We control what we can, and ignore what we can’t,” Foy said. “(Under) Trump’s presidency, who knows how he will treat that,” Foy said. Don Olmstead, managing director at Novare Capital Management in Charlotte, said his team is looking at several sectors where stocks are performing well following Trump’s victory, including financials, pharmaceuticals and biotechnology. “It caused everyone to panic, but now you’re seeing winners and losers arise from this presidency,” said James Harlow, an analyst at Novare. One policy-related issue Olmstead and Harlow are watching is trade agreement renegotiation, which Trump has vowed to do. Changing or repealing certain trade deals could have ripple effects throughout the world, which could slow American economic growth, they said. Without open trade agreements and cheaper imports, prices on goods made at home could go up, which could spur inflation growth. “If prices rose 5-10 percent, it would take away disposable income,” Olmstead said, which would be problematic for Trump’s middle-class supporters. There’s also the possibility of changes at the Federal Reserve, which could sway how the central bank behaves. In the past, Trump has been critical of the Fed, especially Chair Janet Yellen, for keeping interest rates low – Trump says, for political reasons to help President Obama and help Hillary Clinton get elected to the presidency. Under Trump, the Fed could undergo some changes, Gee said, including an audit and possibly the appointment of a new Fed chair. If the Fed becomes more inclined to raise interest rates that could also be a damper on the stock market, he said. Now that markets have calmed down, Gee said he is more concerned about the Fed, which he anticipates next year will become more inclined to raise short-term interest rates. “I think we need to be as investors more concerned about interest rates increasing,” Gee said. Increasing rates, he said, is going to be tough on the stock market.